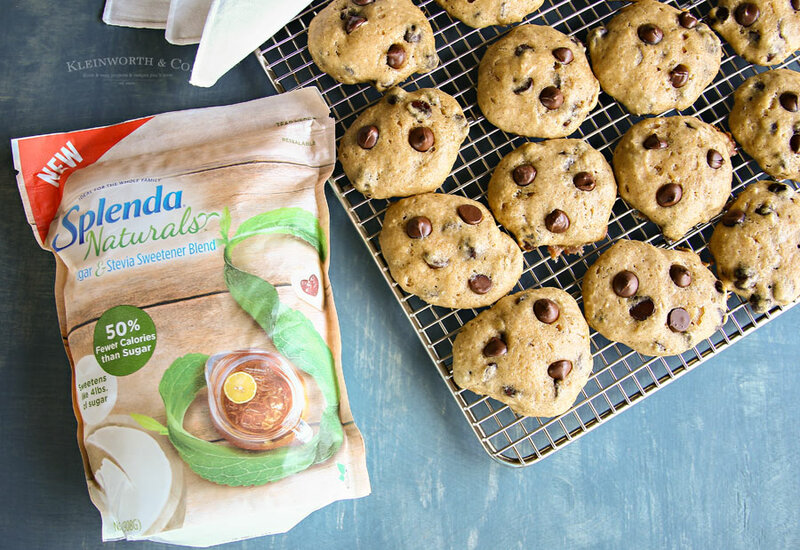 Chocolate Chip Applesauce Cookies made with less added sugar. 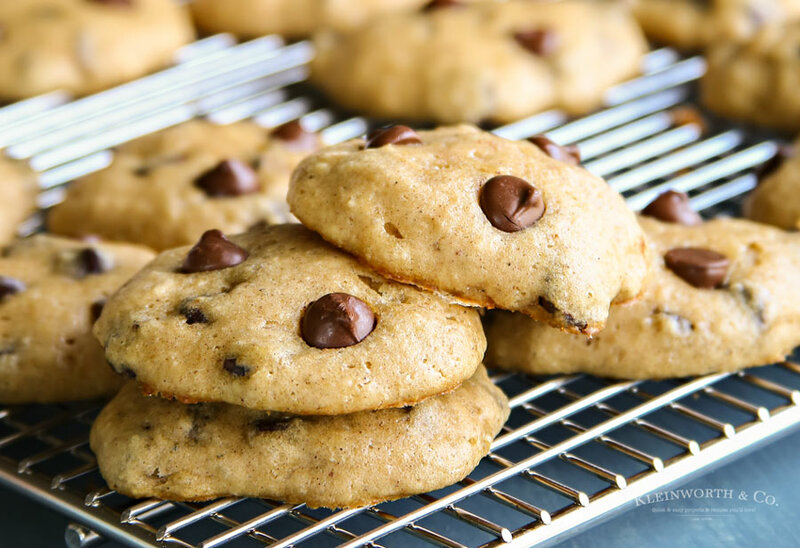 Soft, chewy & packed full of chocolate chips. 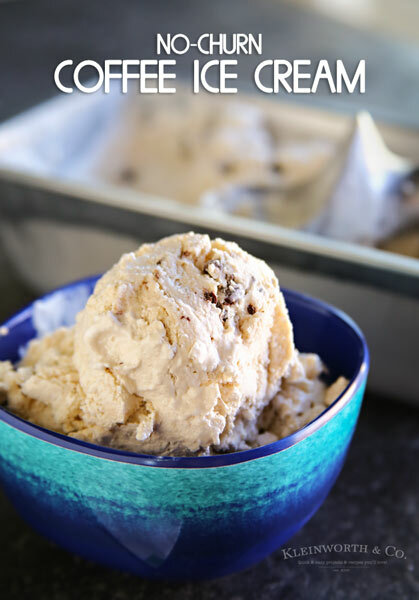 A great dessert recipe, perfect for potlucks. 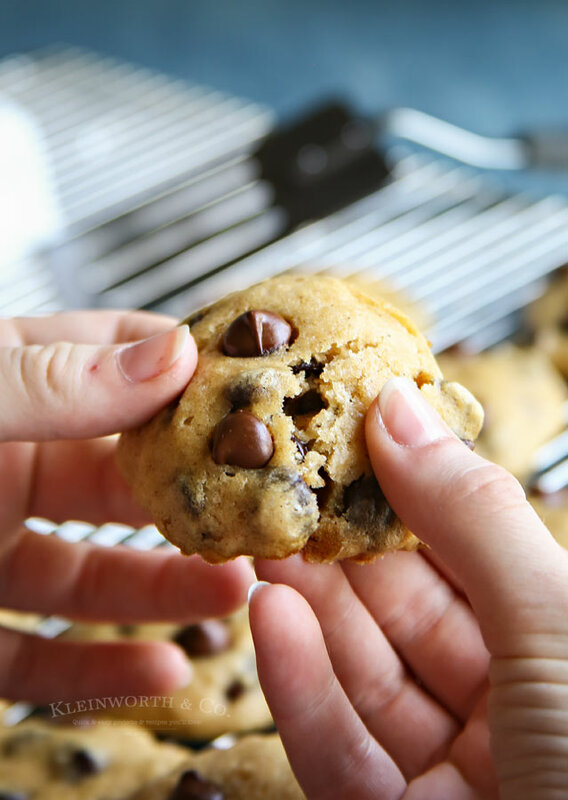 Who loves a good chocolate chip cookie? I sure do & when I get a craving for them, I have to make some. My usual recipe requires the dough to be chilled overnight. 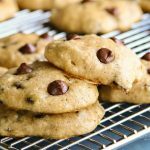 So when I want cookies or need cookies the same day, I love to make these Chocolate Chip Applesauce Cookies. Whenever we have an event like a potluck or backyard BBQ to go to, I can whip these up before we go. Quick & easy & they bring smiles every single time. 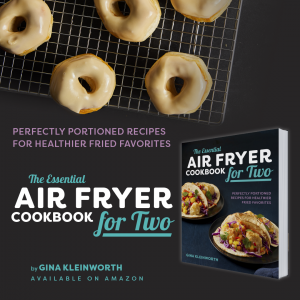 Do you have a recipe that everyone always requests when they know you are coming to their party? For my mother-in-law, it was her super unique salad recipes. For me, it’s these cookies right here. I bring them to every event & I can tell you, they are always the first thing on the buffet to disappear. 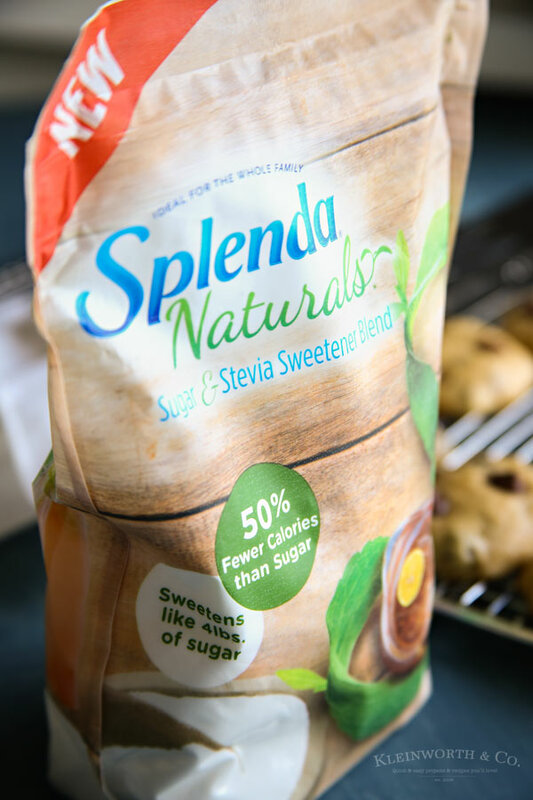 I made these using SPLENDA® Naturals Sugar & Stevia Sweetener Blend. It’s is a mix of pure sugar (sucrose) and SPLENDA® Brand Sweetener. I love it because I can use half the amount & still get a perfectly sweetened treat. This really helps to cut back on the sugar, while still providing great taste and better baking qualities (texture and moistness, etc.) that I desire in my favorite recipes. These cookies have cinnamon & nutmeg in them too. So along with the applesauce, they really give you that nostalgic, apple pie flavor that is the epitome of summer. It’s all wrapped up in a scrumptious cookie. Slowly add in flour, baking soda, cinnamon, nutmeg & salt. Allow to cool on pan for several minutes before moving to a wire rack to cool completely. 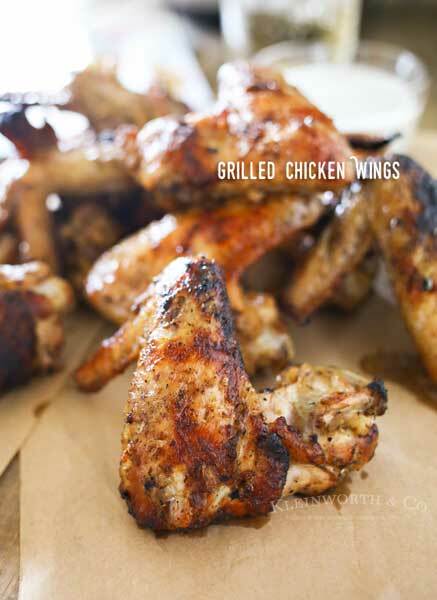 I guarantee, these will be a favorite at your next BBQ too! 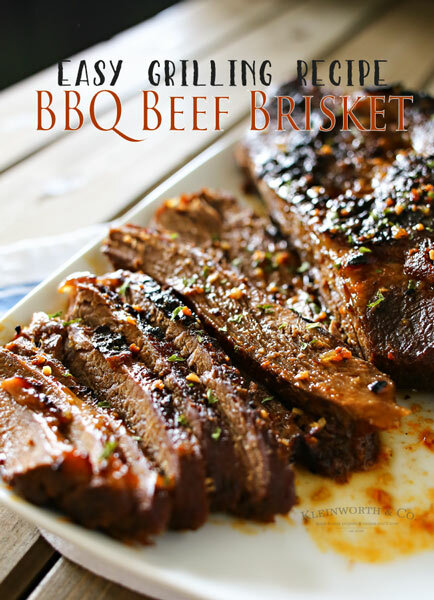 Looking for more great recipes for your BBQ? I love using apple sauce in my baking! 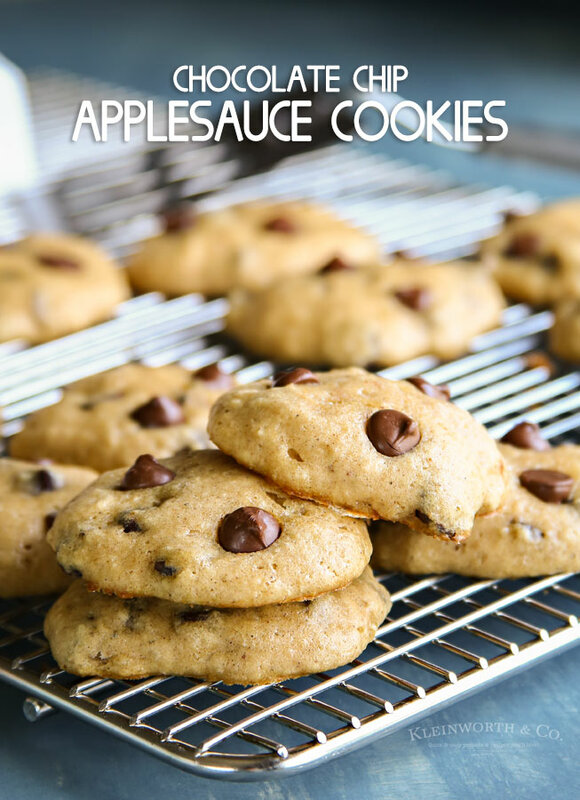 I’ve heard of applesauce cookies, but I’ve never tried them before (at least, not that I know of)! I hope they taste as good as they look!